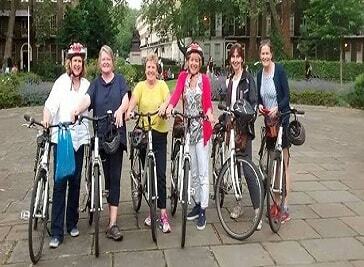 Explore London on two wheels with one of these great London cycling tours. As you whizz past the sights with the wind in your hair, you'll discover that cycling is one of the best ways to see the city, whether you're a first-time visitor or a seasoned Londoner. 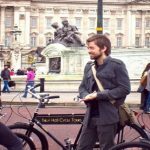 Bike Tours shows you London like nobody else can - with smaller groups, hidden gems, quaint old pubs, quirky history and amazing photo opportunities. What’s more, as entertaining and friendly individuals, all of our tour guides are passionate about their city and won’t just point at buildings, whilst reading off dates & colorless facts. Cycle tours include lots more quirky ‘inside’ information that will constantly entertain surprise and enlighten, providing you with a day out to truly remember. So come and discover the real London, as tours show you hidden places not listed in your guidebook and tell you tales about sites that breathe life into the history of one of the greatest cities in the world! Cycle tours are an eye-opening journey through the capital’s most bizarre past and present and whether young or young-at-heart, local or tourist, you’re certain to have a great time on London’s most comfortable fleet of bicycles. So if you’re searching for a rare, insider’s view into stunning London, then look no further. It’s the perfect way to start any London visit. Indoor cycling is all they do, and they do it pretty well. Straight from the heart of the City of London. If you’re already into indoor cycling, then get yourself down here. And welcome home. If you have never been to an indoor cycling class, they’d love you to come and give them a try. They think you'll like it here. The Cyclebeat experience is a bit special. Many of London's top sights, attractions and hidden gems are featured on this tour. After getting fitted with a comfortable bicycle your guide will lead you over Blackfriars Bridge to Lower Marsh and view the beautiful murals by William Blake in the tunnels, then on to Archbishops Park by Lambeth Palace.